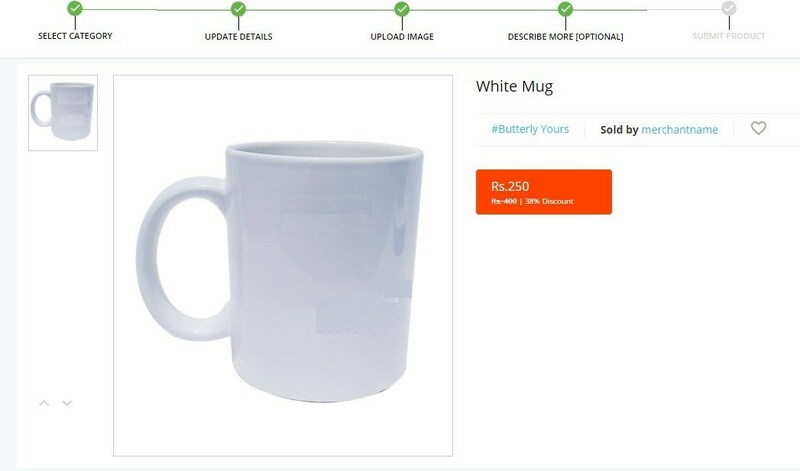 Visit Seller.paytm.com for seller registration. • Provide your name, phone, email and choose a password for the account. • Complete the email verification process. • Update business information and address. • Approve the terms and conditions. 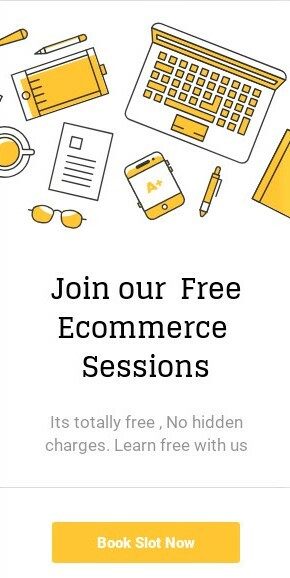 • Save and your online business starts!! Note: You need to some documents for registration. • Name of the Business like Sole Proprietorship Firm or Partnership Firm or Private limited company or LLP. After Successfully seller registration, you need to login your Paytm account. After login your account you can add your products on Paytm store. 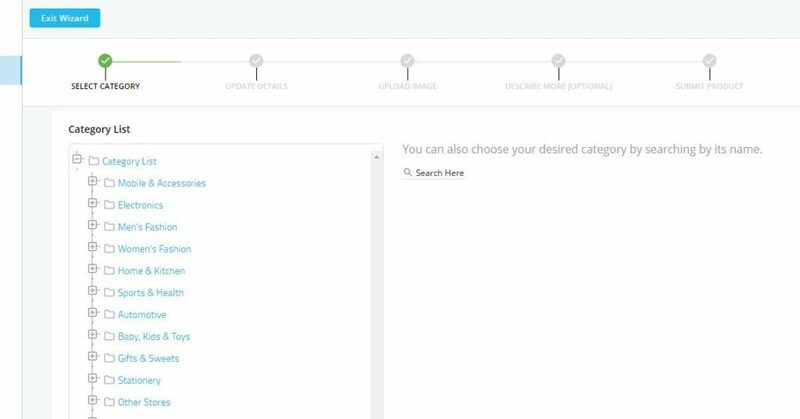 There are two different options to upload your products. 1-by-1 Upload: 1-by-1 upload of product is recommended if you are uploaded less than 50 products in your online store at Paytm. 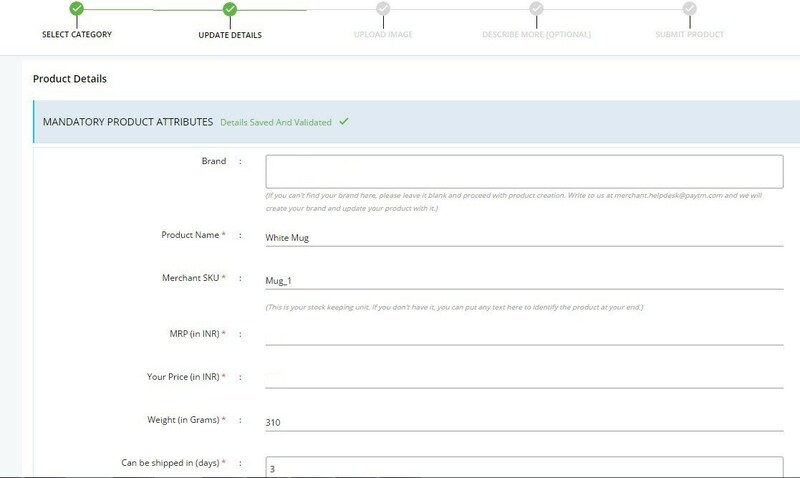 If you chose to upload your products with 1-by-1 upload options, please follow these instructions. Categories: While creating/ adding a new product, we need to assign a category to the product, so that it shows in the dedicated/ allocated category. 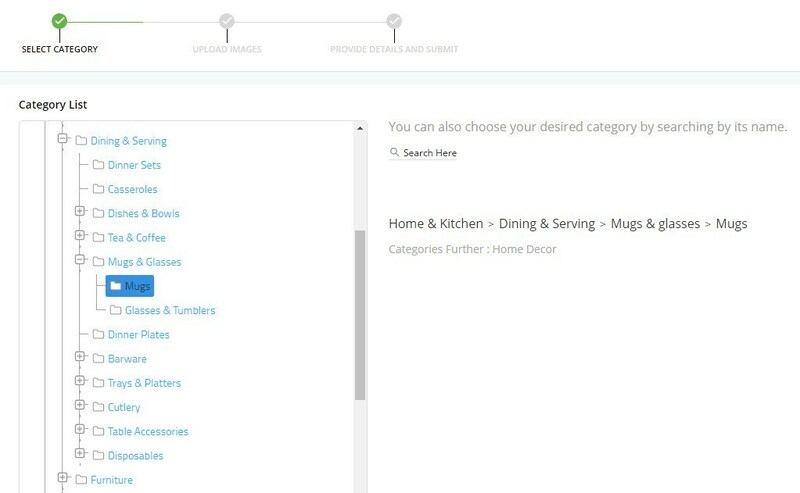 The product should also show in the correct hierarchy for product, in the catalog. Update Details: You have to add all the details of product like Brand, Product Name, Sku, MRP, Your Price, Weight, Shipping Days, Material, Capacity, Set Content etc and then click on validate details. Upload Image: You have to upload at least 1 Image of your product. 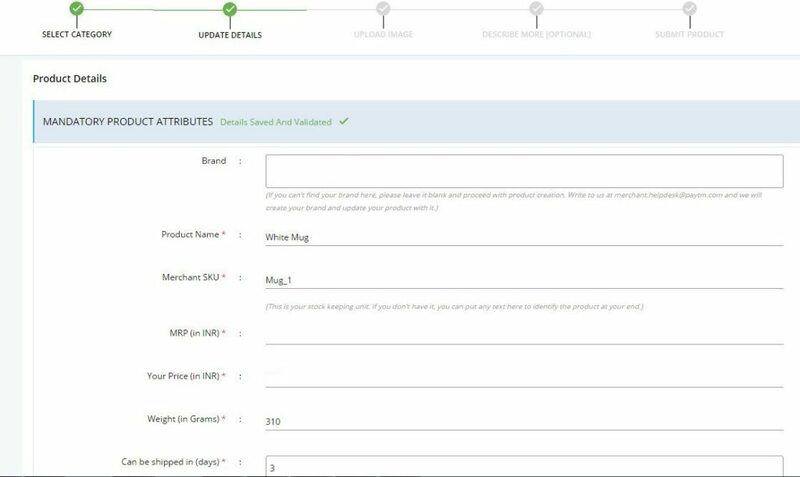 Describe More: You can add more details like description if you want and then just view your product and click on submit. 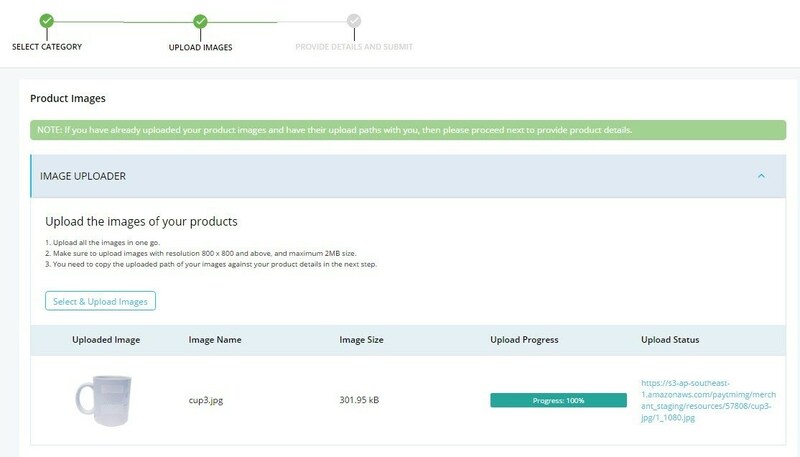 Bulk Upload: Bulk Upload of product is recommended if you are uploading more than 50 products. This process requires that you download a template. You can download the template with 2 different ways. Category: You have to select category for bulk listing also. Image Uploaded: You can add lots of images for your number of products. Select Brand: First you have to add your brand if you can’t find your brand here, please leave it blank. Download Product Detail Template: You can download the template from here. After download the template you have to fill all the mandatory details in the given attributes. 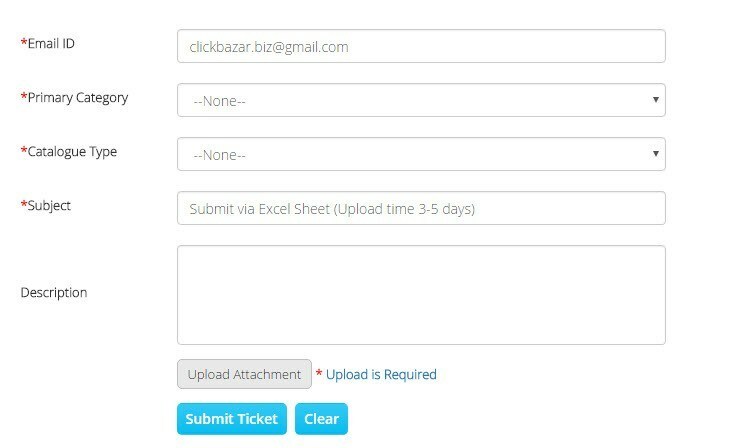 Upload Product Details: When you will fill all the details of product then upload template here. • Your listing will be live within 24 to 48 hours and you can track your listing status with the help of non-live tab. Second: You have another way to download the template. • If you have variations of product then fill the attribute of style. 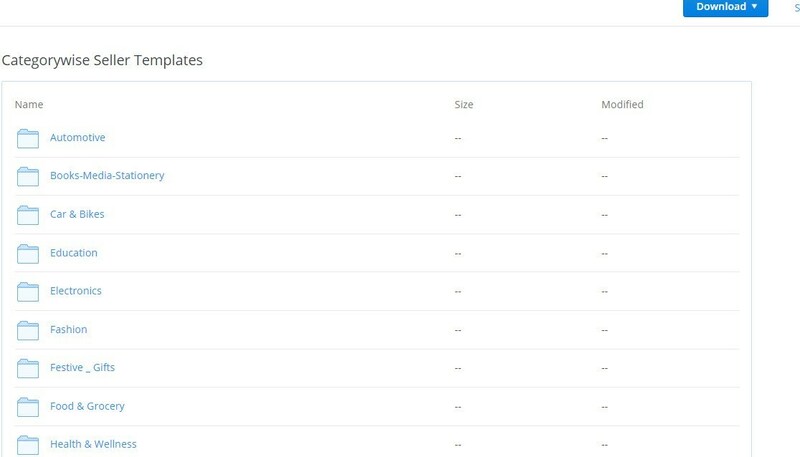 For Example: If you want to sell footwear with different sizes so you have to mention style code and style code will be same for same product but different sizes. • When you prepare the template then raise a ticket for listing with template & images. Note: If you have variations of products then choose second way for bulk listing.